The Nordic Cruise is almost like a trip to another world: a mystic backdrop, marked by ice-blue glaciers, fjords and dark-green mountain ranges. The Nordic countries include Norway, Sweden, Denmark, Finland, Iceland, the Åland Islands, Greenland and the Faeroe Islands. They all border on the Arctic Ocean. The best time for a Nordic Cruise is between June and September. 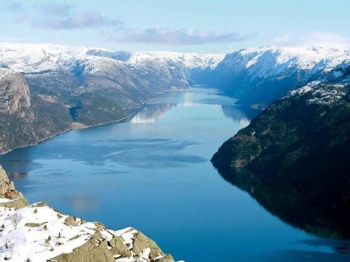 Take a Nordic Cruise and discover the breathtaking beauty of Norway. The city of Tromsø invites you to stay awhile and stroll around. From here it&apos;s then off to the world-famous Geirangerfjord, which in 2005 was declared a World Cultural Heritage site by UNESCO. The trip then continues to Svalbard with its principal island of Spitsbergen. It&apos;s not for nothing that Svalbard is also called the Land of Cold Coasts: polar bears which suddenly loom out of the mist, walruses cavorting on enormous ice floes and the endless expanse of the eternal ice all combine to define the landscape. The world&apos;s largest volcanic island, Iceland, home of Europe&apos;s second-largest glacier, Vatnajökul, will captivate you. The Thjódhminjasafnidh National Museum of Iceland in the capital, Reykjavik, will give you insights into a bygone age. Take a Nordic Cruise and get to know the world&apos;s largest island: Greenland. About 80 percent of the island is covered by the Greenland ice sheet, which, at its thickest point, is about 3000 m thick. The Danish possession, which, despite its icy nature, is home to a large number of mammals, is a particular highlight for animal lovers.